Johnnycakes were made by pouring a thin cornmeal batter onto a hot, greased griddle. It produced a pancake-like bread. Johnnycakes were popular in New England, the Midwest and the South. Hushpuppies were a thicker buttermilk-based corn batter which was deep-fried. It was a common accompaniment to fried fish and other seafood in the South. Hushpuppy recipes varied from one state to another; some included chopped onions, beer, or jalapeños. 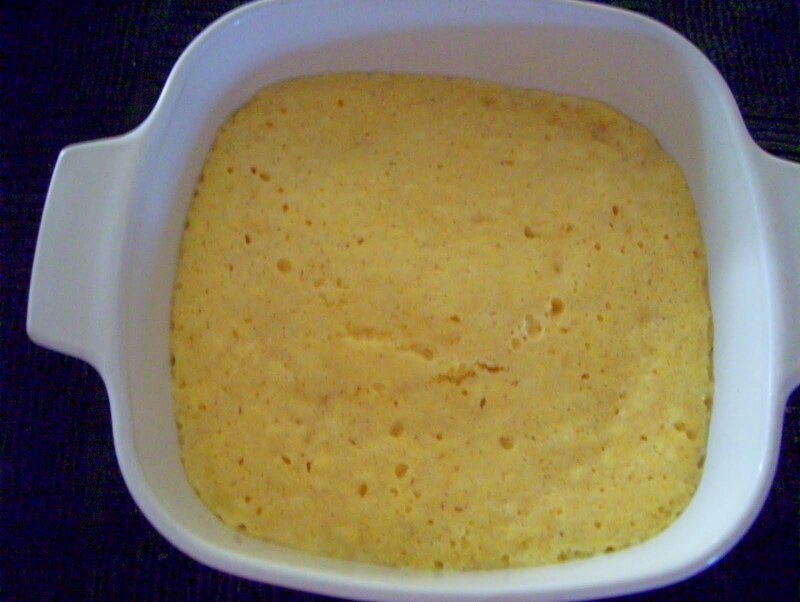 Corn dodgers were another form of corn cake. They were often used to sustain travelers and Civil War troops. Historical writers often described the hard lives their characters had to endure and sometimes mentioned corn dodgers as a dietary mainstay. Mark Twain spun the well-known story about Huckleberry Finn who witnessed a double murder and ran away in fear for his life. His friend, Jim, helped him hide out and even fed the starving boy corn dodgers, buttermilk, pork, cabbage and greens. In one of the Little House on the Prairie books, the Ingalls' family ate stewed wild goose, dumplings and gravy, corn dodgers, mashed potatoes, butter, milk, and stewed dried plums for a pioneer Thanksgiving dinner. Another famous corn-dodger-eater was Rooster Cogburn, played by John Wayne, in the movie, True Grit. He carried a saddlebag full of them on the long trail ride when he set out to catch a murderer. Cogburn's young, female benefactor refused to eat the dodgers when she learned they might be splattered with blood. Rooster did not seem to mind, though, and munched on them anyway. The cornbread my mother sometimes made for our breakfast was a sweet, fluffy and all-around more modern version of what the settlers and pioneers ate. She baked it and cut it into little squares. These would be placed on plates, sliced through the middle and buttered. Last, and most important, her homemade hot syrup ( post # 13) was poured over each half. I know there are many cornbread mixes and recipes. 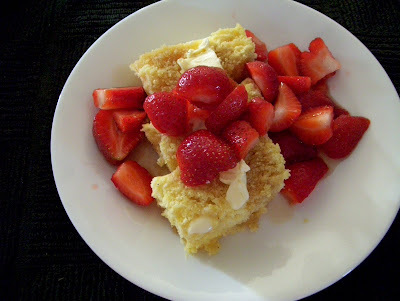 If you are not into scratch baking...Jiffy makes an inexpensive cornbread mix; it has a place of importance in our home...it tastes good, it is cheap and certainly is easy to fix. When my kids were little, I figured out how to bake it in the microwave...so, with my directions...anyone can make this tender, tasty breakfast treat in just a few minutes. Blend first 3 ingredients. Batter will be slightly lumpy. Spray a small round our square (6x6) microwavable container with Pam. 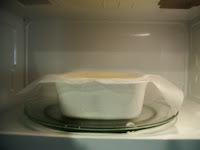 Pour batter into the container and let rest for 3 minutes. Place a sheet of waxed paper on top of the container and put it into the microwave. Cook on MEDIUM power for 3 minutes. Cook on HIGH for 1 minute. Check for doneness. (If middle springs back, it is done). Cook for another minute on HIGH if necessary. Remove, and cut into squares or slices. Place on serving plates; add butter and syrup; garnish with fresh fruit. Thank you, my job takes me all over the US and I usually only have a microwave to cook with. Thanks to you I will be able to make more home cooked tasting meals. I'm interested as to how we make dodgers out of the jiffy mix. Tips? 65. Eggs Benedictive - Not Duck Eggs! 61. Mile High Lasagna Pie - Mama Mia!